Home » Promotion » Why Aren’t People Sharing Your Content? Why Aren’t People Sharing Your Content? 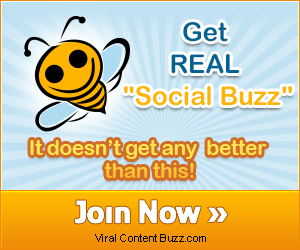 How does content go viral today? Well, it has to be shared and while we cannot expect every piece of content we create to go viral, we can work to give it the best chance of being shared as much as possible. If you’re wondering why people aren’t sharing your content, take a look at the reasons below and see if any of them apply to you. Do you spend too much time talking about yourself and your company? There’s a good chance people aren’t sharing your content because you’re talking too much about yourself. You shouldn’t have to ask friends to share your blog posts or articles. Your content should speak for itself and people should want to share it because they read it and enjoy it and they know someone else who will enjoy it as well. Constant self-promoters are not fun to be around because the conversation is always about them. The same goes for online content. If you don’t include the reader in the conversation, they will eventually grow bored and move on to something more interesting to read. If you want to increase the sharing of your articles, be sure to pick topics that your readers will want to know about and talk about. Also remember to ask them their opinions or ideas and invite then into the conversation. And don’t be afraid to promote others. Most will return the favor. It’s not enough just to have a good topic; you need to have a great topic at the right time. We live in a season of 24/7 news so pick your topics accordingly. People want to share content about what’s happening right now, not what happened last week. If there is something news-worthy and you want to get in on the conversation about it, make sure to do it quickly. People want to share content that is relevant to their industry today, and will lose interest as time goes by. Our recent article “Hotel Corpus Christi Bayfront Infested With Ninja?” was a response to a recent episode of “Hotel Impossible” in which the CMO referred to himself as a ninja. The title leaves most people wanting to know the details. On this note, you still need to maintain quality. You wouldn’t appreciate it if I pushed out a sloppy article at the last minute just because you want to be one of the first to share the story, and neither will your readers. You can avoid this by planning ahead, looking at upcoming events and getting a head start on content whenever possible. Also keep in mind that you don’t always have to be the first to report on a specific piece of news but if you’re not the first, you should focus on being the best. While others might just recap a news piece, you can add a unique angle or a new spin on it. Your readers will share this because it’s a new take on the subject, especially if you write something that can spark debate or dialogue. The truth is that people often skim online articles, skipping over a large percentage of the content. With so much content being published in this age of blogging, a 24 hour news cycle, and Twitter, readers are suffering from information overload. To combat the barrage of daily news and content readers have refined their filtering mechanisms to the point that not reading articles is almost an art. You need great titles that draw them in and make the reader take that extra second to click. You want to build their curiosity so they want to see what comes after the headline. You don’t want to be gimmicky (we’re not selling cars here) but you do want it to be interesting and relevant. Short and sweet headlines that are exclusive and specific are most likely to be clicked and also to be shared. There are hundreds of great articles and theories on writing headlines, complete with contextual examples, but nothing is more powerful than your own wit and charm. Our article “The Dislike Button: Social Media Hate Science” was initially noticed because readers felt intrigued by the title, which didn’t completely explain the content. After reading the article, they felt compelled to share across a number of networks because it offered up unique insights and inspired them to look at things in a new way. We also had prominent sharing buttons so it was relatively easy. Finally, you don’t want to consistently under-deliver on your extravagant promises. Keep your headlines relevant to your content. 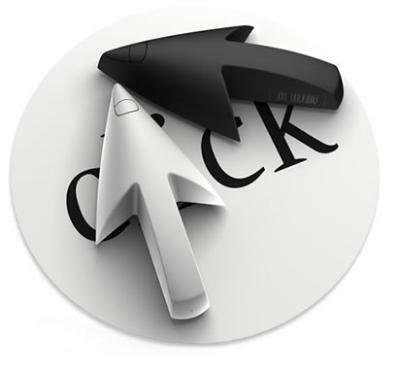 Using a startling research finding will often increase click-thru rates. Lying about research to get extra clicks will leave them feeling alienated, and will guarantee that a click is all you’ll get. Finally, you need to wrap it all up in a pretty package. Your posts should be easy to read, which means no large blocks of text. Short, smaller paragraphs, bullets and lists where appropriate, and subheadings make it easier to read. This means more people will be willing to share. The same goes for your site design. There are psychological advantages already in place when a user finds your website appealing. And finally, make it easy to share. You don’t want your reader to jump through hoops trying to share the post with others so it’s important to choose the right social media sharing buttons or plugins, make sure they are properly placed on the site and that they are up to date and working properly. With these tips, you will create more shareable and memorable content. Which of your posts has received more social shares than any other on your blog? Headlines are my biggest problem.That’s wat I really need to work on. Practice makes perfect! I also used to spend a lot of time scanning headlines of major news organizations, sites I like to read and RSS feeds and I would take note of the ones that jumped out at me and try to determine what made those capture my attention so that I could mimic it with my own articles. Great tips, especially the suggestion of engaging your readers and making them feel apart of what you are talking about. Thanks for reading Lisa. Appreciate you stopping by. All good points to get that post party going!